I am a type-A personality by nature. I like to know exactly what is going on, and have a plan for everything and a place to see it all in action. And I have tried all kinds of apps, software, tutorials, spreadsheets, calendars, planners and everything under the sun. As a blogger, I found that the tools that I had been using weren’t very effective for all the extra stuff that I had to include like writing and organizing blog posts, marketing those posts and social media management. One day I came across a tool that had everything I needed in one place! 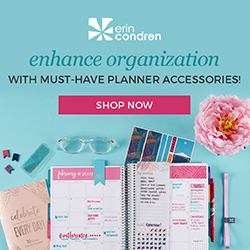 No more jumping back and forth between planners and auto-schedulers. If you are anything like me, and you have been struggling to find something that can help you stay on track of your blog posts, social media strategy and marketing campaigns, this is the ticket! CoSchedule can literally do it all. I mean everything. It’s like having your own personal assistant on one page. For me, time is money and this scheduler saves me both. That, and- I can stop pulling out my already fine hair! At one point, I actually had three paper systems going to keep track as well as two online apps just for organization. Does that even count as organized?? Thinking about it now, it sounds more like CHAOS. I completely eliminated the endless email threads, piles of sticky notes, and the dozen and half moving pieces I was using. Doing this allows me to focus on the real work of writing top-notch content AND growing my audience. Now my thoughts, drafts and posts are all organized in one, easy to use space. I can also apply task lists to each of my workflows to keep me on schedule with whatever I am doing. CoSchedule has even created three preformed lists for blog posts, email marketing, and social promotion just to get you started so you won’t miss a deadline! You can sync all your favorite tools and social platforms into one place, so you can focus on driving traffic to your blog (not jumping from one tool to the next). This is such a cool feature. It totally brings the platform to WordPress so that you can use it right in your dashboard. The two accounts sync so when you make changes or updates in one, the other is automatically updated. CoSchedule even integrates with Google Analytics, Evernote, Google Docs, MailChimp, Zapier, and more! Eliminate the guesswork In social scheduling. With so much competition, it’s tough to get through the noise. CoSchedule’s Best Time Scheduling spaces out messages for maximum coverage, helping to get the most social engagement out of every post. Schedule dozens of social media messages in bulk. Create a predefined social sharing plan to reuse again and again, so you can focus on creating exceptional content, not manually filling in your social queue. This was especially helpful for my Facebook group, Blogging Babes Collective, where there is a recurring theme each day of the week. All I needed to do was copy, drag and drop the post into each day. I scheduled out a whole month’s worth of posts in only 10 minutes! Automatically Re-Use Your Best Social Messages without the manual work. ReQueue fills in the gaps of your daily schedule, not manual guesses! It takes into account your entire social schedule, uses Best Time scheduling to promote your messages at the most optimal times and finds the gaps in your schedule (so you don’t have to). Again.. TIME=MONEY.. Let’s save it and go to Mexico. Curate and share content with followers without ever leaving the browser. No more copy/paste commands or switching from one tab to the next! This feature is so simple to use! I can go into a site like Medium and pull up content that I think my readers will enjoy. Then I simply click the installed browser extension and the content is pulled into a window. Here, I can choose the social sites I would like to share the content to and an option to choose a specific or best time schedule. CoSchedule is perfect for filling up gaps in my calendar and giving my audience more value, which I am always striving to do. CoSchedule comes with some really great analytics for all your connected social profiles. This allows you to track your social performance across multiple profiles so you know what’s working (and what isn’t), so that you can make changes as you go. You won’t have to guess what will (or will not) resonate with your audience. You can easily use the social network reports to check top messages AND create future content you know your audience will love and respond to. This is such a cool tool! (I know… I’m a poet lol). I found this while creeping around the CoSchedule site and it has been absolutely incredible. You can add your title and it will analyze it based on the words that you have used and gives you a score between 0-100. If you purchase the app, it will even include the headline analyzer right in your WordPress so that you can choose the best one before posting! Are your email open rates really low? Try CoScheuler’s free email subject line tester that works similar to the headline analyzer to give you a personalized score. Putting up posts and hearing crickets? 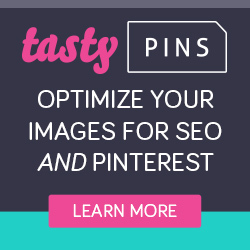 Try the social message optimizer to get a message across that will engage your readers. Click here to try CoSchedule for 30 days free with my link! With all these great features, what’s not to love!! CoSchedule can do all of the things you will need to write your blog posts, market your products and engage with social media on a consistent basis! I did not realize that this app was so helpful! I may look into this myself! It has been so great and I’m pretty sure I haven’t even tapped into all the features yet! It has been so great and I’m pretty sure I haven’t even tapped into all of the features yet!! Wow, how have I never heard of this? I’m in my second month blogging and could really use something like this. Thanks for the tip and great post. Why haven’t I heard of this? This sounds amazing. Between my work schedule and trying to figure out a schedufor blogging, I’m going nuts. Can’t wait to try it. Thank you for this post. Thanks so much for the wonderful review! Love to hear how you’re using CoSchedule and how it’s helping you! You are very welcome!! Thank you guys for such an amazing product!! Nice, detailed review. I’m always seeing their ads when I use their free headline analyzer and I was wondering what their service was like. Thank you, Kate! Yes.. that’s where I started too- using the analyzer and have been really impressed! that’s cool about reusing your best social messages! I’ve heard goo things about CoSchedule. Right now my blog is small, and I’m managing it in Asana. But maybe as my blog grows larger this is something I can look into – especially for the social scheduling. Hi Chelsea! I’ve heard great things about Asana as well! CoSchedule has been a necessity for me to run my blog smoothly while working full-time! Especially for repeated social scheduling. I read a bit about coschedule yesterday but wow your post is much more in-depth this sounds absolutely amazing! Thanks so much Sasha! Thanks, Jenn! I honestly could not juggle it all without CoSchedule helping. It has been a life-saver! I’ve never heard of This app thanks so much for sharing. I will defiantly have to check it out. You are welcome, Mila! As a blogger juggling a full time job, this is definitely a must-have for me. I’d love to hear what you think of it if you check it out.